Working through the agile cycle as celebrated, promoted by GDS in the UK etc. Time once again to take a look at work over the last few months, and use it to illustrate effective working through the agile cycle as celebrated, promoted by GDS etc. We are now at a stage where we can move forward with a product team in place, a new platform proposition (CKAN) in delivering to user needs in the open data space. It’s been busy - so how did we get here? 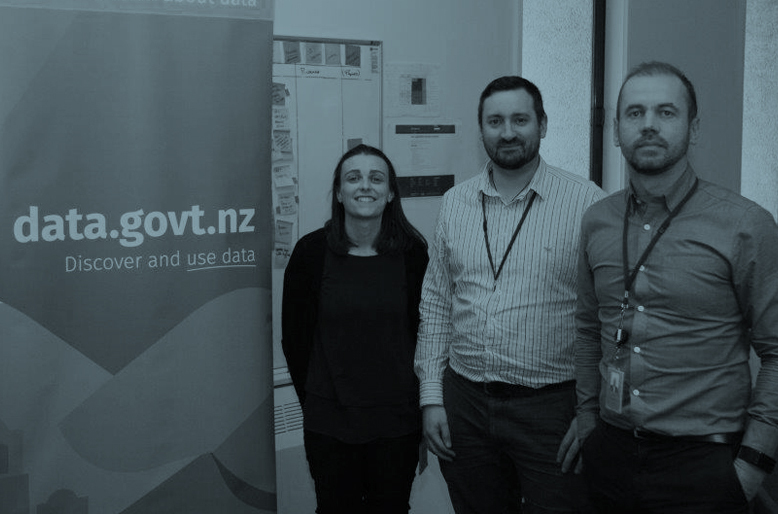 Data.govt.nz has been in place since 2009 and feedback, research gathered over the years would be collated in as part of a discovery process endeavouring to re-imagining that product space and proposing an improved service for users. A discovery paper delivered in early 2016 brought all of this together, convincing the team sufficiently enough to go ahead and start exploring options, paths to addressing pain points identified therein for users. The team moved into alpha. what platform could meet our needs? if/how would we integrate with existing platforms? what would the product wrapped around the platform look like? how much would it possibly cost? Alpha ended with a couple of fails...which was a good thing and informed the trajectory we’d take into beta; out of initial options, we had decided to recommend moving into beta with a vanilla CKAN rollout, testing with users, garnering feedback and insight in a live environment. Moving to Beta represented an important milestone for the team as it represented a wider commitment to robust testing of the proposition, meaning we could engage with the community openly and actively. During this phase, we benefited from having Pia Waugh onboard for a stint - her experience and expertise from having worked with the Australian government previously in this space continues to prove invaluable. what were the salient needs of our data users that we could focus on? what value would government agencies place on a new platform? were there other tools / approaches that would help agencies with releasing data? would quality ratings and guidance frameworks be impactful? Beta represented a wider commitment and a more robust testing of the proposition. We are now on the cusp of the MVP going live with a product team in place - exciting times ahead, so watch this space!.